Does the truth have a method? 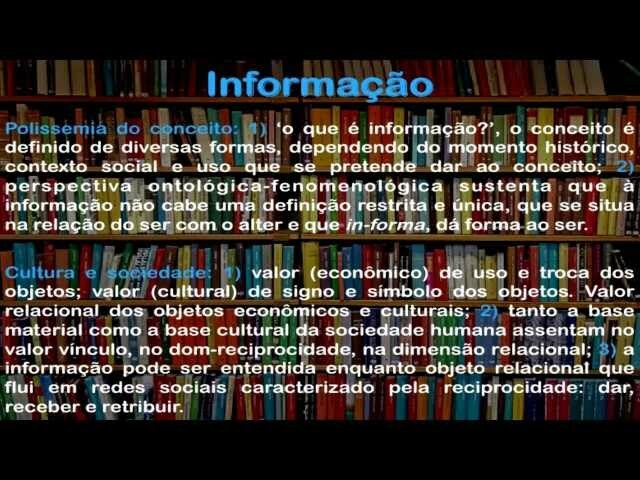 « Blog Marcos L. Mucheroni Philosophy, Noosphere and Ciberculture. Does the truth have a method? Gadamer’s goal in his Truth and Method (Gadamer, 1975) was to recreate the concept of understanding (Verstehen), which meant to understand knowledge as what it has as an attribute of the world experience of the human being, compatible with Heidegger’s world view and made from two presuppositions, part of Husserl’s concept of Lebenswelt (world of life), and the critique of idealistic separation that divided the cognoscent subject, since he is already an object in the world; of what is the object of knowledge. In her definition of phenomenology as hermeneutics through the resumption of the sense of being in Dasein, which became known under the name of hermeneutics of facticity. The natural sciences, I understand them as mathematics, physical and chemical, I restrict zoological and biological, can be explained as enlightenment (term of Modernty Enlightenment) or understanding, because of its logical nature, the German term is erklären, while sociology and history go through the understanding (verstehen) introduced in philosophy by the German philosopher historian Johann Gustav Droysen (1808-1884), and adopted by Hans-Georg Gadamer. But this term is an enlarged view of understanding since it includes the Other, because it is also contained in the senses of empathy and dialogue, and is therefore an extension of the concept of Heidegger de Weltanschauung, composed of Welt (‘world’) and Anschauung (vision, contemplation, point of view or conviction), of Cosmosview or Worldview. 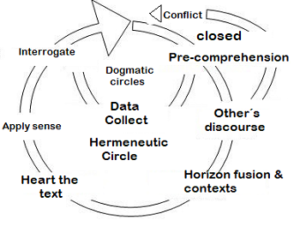 The method then proposed by Gadamer is the explication of the hermeneutic circle already proposed in Heidegger, but now with the overcoming of the idealist historicity of Dilthey and the incorporation of the Other (verstehen) in the world of understanding. 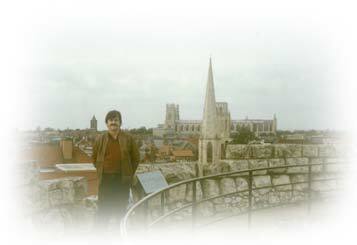 We can say that admitting the world view of the Other is possible a hermeneutic circle that leads us to truth, the problem of contemporary idealism is that the Other will follow the concept of Authority, the logical-deductive references that incorporate certain dogmas or dogmatic circles without including the other. But it is necessary to distinguish that between two discourses without hermeneutical facticity there is conflict.